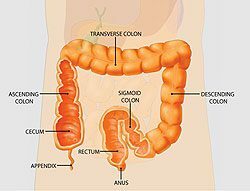 It is extremely important that your colon be thoroughly cleaned before your colonoscopy. This will let the doctor see any abnormalities, such as colon polyps, during the procedure. Polyps are small growths in the colon that could later turn into cancer. 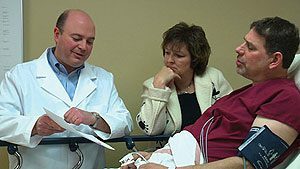 Cleansing the colon before a colonoscopy is called bowel preparation, or “prep.” It involves taking medication that causes diarrhea, emptying the colon. The medication is taken by mouth, and comes in liquid or tablet form. You will also need to change what you eat during the day or two before the colonoscopy. Tell your doctor what medications you’re taking, especially aspirin products, arthritis medications, anticoagulants (blood thinners such as warfarin or heparin), clopidogrel, insulin or iron products. Most medications can be continued. Some can interfere with either the prep or the colonoscopy. Several types of bowel prep medications are available; the two medications used most often in bowel prep are described in the box on this page. Your physician may recommend one of these or other preps which are available. You will need to carefully follow your doctor’s instructions about the exact dose and timing of your prep. Some types of prep may be covered by your medical insurance. You’ll want to find out if you have any out-of-pocket costs.